Imagine getting behind the wheel of your car and driving continuously, without any thought to refueling or maintenance. It would run along for a while, but sooner or later something would bring the car to a halt. To keep a car going, you need to stop it periodically. Frequent stops are needed to add fuel. Less frequent stops are needed for maintenance and repair. Neglecting these stops will soon turn a new car into a pile of scrap metal. If you’re looking to keep moving forward in a focused and productive fashion, you need to have some space in your schedule. Put aside a little time every day to plan what you’re going to do. Put aside a little time every week to review your outstanding commitments and organize them for the following week. Put aside time once or twice a year to review your goals and dreams, and why they are important to you. Things are going to go wrong, or at least different than we anticipated. Knowing that you have a plan in place can help you pick up the pieces and keep moving forward. Our attitude is a result of deliberate action. We choose the ways we respond to difficulties in our lives. That’s not to say that some situations are going to be more difficult than others, but there are ways to maintain a positive mental attitude. Discern what your skills and strengths are. Say yes to those you are confident you can complete with excellence. Say no to everything else. Engage in energy renewing activities. You will only be able to manage the load of stress to the limit of the above capacities. Work to balance the load to your limit. Each person’s down time needs to suit themselves. What are some of the things you do to refuel, re-charge and repair? Leave a comment. The desk is still messy. 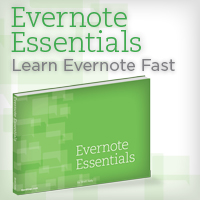 Download the best note-taking app – Evernote.